A hammer-wielding robber stole a large amount of cash in a raid on a Halifax bookmakers. The incident happened on Thursday, at around 8pm, when a man entered the Coral Bookmakers on Queens Road. He smashed the glass screen with what is believed to be a hammer before making off with a large amount of cash in the direction of Hanson Lane. 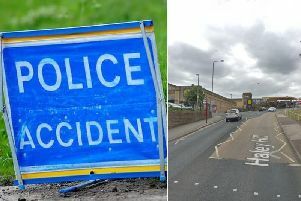 Detective Constable Will Burgess, of Calderdale CID, said: “I would appeal to anyone who was around the Queens Road area on Thursday evening and may have seen or heard anything suspicious to come forward.